Who wants to be an instant celebrity or a sensation all around the world? Well! I am not joking because it is very much possible after the advent of the Internet. Yes, anyone amongst us can be a celebrity at least on the internet and become famous without the need of a mainstream media. It does not matter where you live in the world or what you do, you need a camcorder or your mobile phone, record videos and upload them on the YouTube. YouTube Partner Program will ensure that apart from being famous you also get to earn a healthy income from the views. Apart from making money, you can also focus on becoming a brand and a social media influencer on YouTube. However, it is not that easy as it seems to be because you need to upload videos which must have a meaty content so that the audience will appreciate it. Upload entertaining and informative videos will help you build your fan base on YouTube and generate millions of views on your videos. There are famous YouTubers throughout the world who generate massive incomes via YouTubing. In order to make earning easy for you, I have listed 40 best YouTube Video Ideas that are sure shot hits in 2018. You will be famous and rich from YouTube only if you your videos has thousands or millions of views. 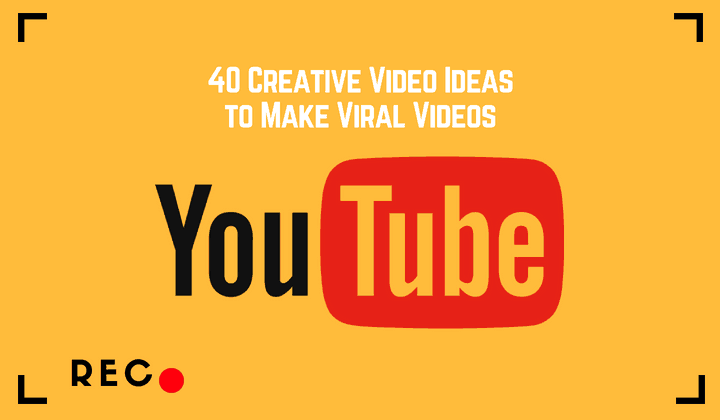 Check these 40 creative & craziest video ideas that will make your video viral in no time. The first YouTube video idea in our list are prank videos. Although prank videos look comparatively easier to record they can be quite challenging. How to record a prank video? If you are into video-blogging and cannot hit the street to record a prank video, then you can start directly from your home or office. You can shoot these videos on a significant occasion like an April fool’s day. Prank a coworker and film it and then put it on YouTube. You can start playing a prank with your roommates by wearing colourful masks and annoying them. Videos on item numbers or rap songs are highly well-known on YouTube. What you can do is render a trending song in your own voice with a twist to it. Hilarious sounds are one of the funny YouTube video ideas. You can be more creative and sing a song in a weird or funny voice like in high pitch or breathy voice or at a fast pace to entertain your viewers. One of the classic examples of funny videos is dubsmash. Now if you are coming from a developing world or the world which is already developed, you can record videos exposing corruption in public as well as private sector. Suppose you want to make a driving license and the government official there is asking for a bribe, then you can record it on a hidden camera and upload on the YouTube. Such videos generate millions of views since the audience is more interested in watching videos made on corruption. Similarly, you can think of many such ideas and upload videos at least once or twice every week. This is another mind-blowing video idea for YouTube. Making parody videos of your spouses or partners can be highly comical from the audience perspective. However, the only challenge would be the immense competition in the market because everyone is into making parody videos. Hence you got to stand out from the rest. The best ideas would be talking about your girlfriend or boyfriend, later on, you can expand on the topic and include things like movies, music, fashion etc. Make it unique, and I am sure you can upload a video every day. Rant videos are great, and people love it especially who do not like a prank or parody videos on YouTube. You need a topic you can rant on, the more it is controversial, the better it is. Here you don’t have to bother about political correctness or sensor board. Mimic politicians, influencers, products, movie trailers, and anything that is trending in modern times. You choose a topic like politics, religion, sexuality etc. Just rant it for 10 to 15 minutes with a lot of F-words in it. You must upload at least a couple of these videos from this YouTube video ideas per week. Again like parody videos YouTube and the Internet are full of adorable baby videos or animal videos. Remember “Charlie Bit My Finger”. This is very easy to create a YouTube video idea for beginners because you can start it right from your home. If you have pets or kids, then recording such videos would be hassle-free. However, you need to keep in mind that you must create compelling videos with exceptional story-telling skills to intrigue your audience. You can definitely make few bucks with this amusing YouTube video idea. Review recently-watched movies and shoot a video while giving the review of every scene and the song present in the film. You have to give an honest review whether the movie was good or not. Be creative if you want to make it famous. Uploading a video with generic content is of no use for your channel. If you are a gastronome and love to explore new restaurants and food joints on a regular basis, you can start your channel where you can showcase the best options in your hometown. Here you don’t have to do anything special. You have to visit new eateries, bars, lounges etc. and write a review or record a video about their menu and services etc. You must be an avid traveller, and you should be passionate about hitting eateries and bars. Shooting videos on products that you are using in your daily life can also be an excellent idea to make money from YouTube. You can review products like a jam or cooking oil or an air freshener and express your thoughts on them. Carry out an unbiased review of products from various brands and be honest while giving reviews. Choose a new product daily and create a review video on it. You can create videos about the interior design of your living room, different kinds of beds or pillow designs used, wall-decoration and what’s there in your wardrobe. Upload at least three videos every week. One of the best youtube video ideas is upload on YouTube is ‘How To’ videos or ‘Tutorial’ videos teaching about a specific topic. People are mostly hooked to tutorial videos on topics like share market, technology, daily life or high school mathematics etc. Here you need to put an extra effort to create quality videos out of PowerPoint presentation or other research works. Upload at least one video every day. Tech gadgets like smartphones, laptops, and tablets are always fascinating for new-generation users. One of the easiest youtube video ideas is gadget reviews especially smartphones, tablets, and laptops. Also, a channel on tech-review helps to attract more visitors you need to create your own brand. Find out exciting ways to keep your audience engaged as multiple channels are working in the same genre. FAQ videos might create wonders for you because there is no highly rated channel for producing FAQ videos on YouTube. Create funny FAQ videos with your friends in the office or family members at home. If you want sensation, then ask questions that are controversial like sexuality, personal traits or other related aspects. This will really help you to generate more views which imply in coining more revenue with time. In this genre, you can easily upload up to three videos a week. Celebrities are always eye-candy for everyone. Start connecting with local celebrities and shoot the interactive session with them in the form of a video. While shooting live interviews of stars make sure you are appropriately dressed up and ask them professional questions mainly related to their hardships and their career. Celebrity stories create hype in general and more number of followers will start flocking together to YouTube to watch the interview videos. Show your gaming skills and record videos with your friends about new games and their reviews. Post videos on live footage of you playing a game or on cut-scenes of stories of a video game. Create a video on walkthroughs inside a game as you will complete the levels and challenges. These types of videos are fun, and you can directly start earning money from these videos. Well in the western world, challenge videos are the sole wage-earners for some of the YouTubers. It could have been mentioned ahead of parody or ranting videos, but challenge videos are difficult to shoot. You have to take a challenge like you will eat a bowl of chicken nuggets in 30 seconds or drink a full bucket of Cola without any stop, or you are not going to sleep for next seven days. Time Lapse Videos are where you create a montage explaining what you did in an entire week or a day. These YouTube video ideas are common across YouTube, and you start watching any of them and learn how to create those videos. The only thing you need to do is to create this video innovatively, not like the ones that already exist in the market. This type of video usually takes time to be created and uploading at least one video of this type is sufficient for a week. You can film yourself while you are self-driving your own car or visiting a brand store at a mall. Sharing life experiences with your audience in the form of a video is a fashionable idea. Find out a concept that’s difficult to understand and explain the idea in a simple way to make it easier for absorption to the viewers. People are looking for this type of videos on YouTube since they act as sources for learning various topics. Here you may upload one video every day. Find interesting facts on your favourite topics and build your videos around it. Some channels provide in-depth knowledge of the subject you are not familiar with. Most of us are movie-buffs, but we hardly possess any knowledge of some of the highly acclaimed directors of our era. Most of the people living in this present world have seen ‘The Jurassic Park', but only a few of them knows about the past life of the evergreen director, Stephen Speilberg. Deep dive into life stories of particular directors from various countries and talk about their achievements. Try to upload at least three videos every week. Are you currently obsessed with a recently launched song that is making too much noise in the market? If you are an ardent listener of the music of various genres and verticals, then creating a channel on music reviews is a brilliant idea. Try to upload 4-5 videos in this segment on a weekly basis. Even in 2018, people are not aware of some of the coolest technical and non-technical tricks. Suppose, you are trying to fix your door lock single-handedly, but you don't know how to do it. What a shame! Videos on topics like these roll eyeballs of many and son your uncanny content on YouTube will generate millions of views and appreciations. If you’re into music, attend the live music concerts in your locality and start filming your experience on your video camera. If you are a sports enthusiast, go and watch the live games in stadiums and interview people from the crowd. Shooting live videos on the pathetic living conditions like potholes, no streetlights, overcrowded buses or metros, pick-pocketing in public, careless road accidents, public rallies etc. You can also upload videos spreading awareness on drug usage, conduct interviews with drug-addicts and publish FAQs through your videos. You can quickly get ideas for creating at least a couple of videos every week. Create a series of videos in response to other YouTube videos like how you like a particular musical trailer or your reaction to a political conference in New York. You must publish honest content in your videos, and it should not be abusive to your audience. You can easily upload 2 to 3 videos every day as it is quite similar to ranting videos. Try to display your inner talent and abilities through your videos and post them on YouTube. The launch of an application called musically will help you shoot visually compelling videos for your audience. If you are a good dancer, showcase your dancing skills by shooting a video of you dancing to the tunes of a song. If you are a designer, create videos on your crafts and designs. If you believe in wizardry and bewitchment, and want to enchant your audience with your skills of magic, then you can start shooting live sessions where you will demonstrate every trick of magic in detail. Find a karaoke version of your favourite song and sing along. Multiple tools will help you in singing a song in this mode. Record a video while singing a karaoke version of the song. Then, post it on your YouTube channel. If you are a travel enthusiast but hardly get the time to travel around the world, then you can start making videos of famous countries in the world. Through your videos, you can show your audience what the renowned tourist sports in a particular country, where to go for dining, which are the best shopping malls etc. You can upload up to 1-2 videos in a single week and act as a virtual tour guide for millions of subscribers. If you are interested in giving life-lessons and excite the audience with your knowledge and communicative skills, create videos that are going to relate to the lives of your followers. Try to influence them in various ways. Arrange pep talk sessions to boost their morale. Do you have an engaging story to share with your audience? A story that might occur in our daily lives? Cleverly share your story through video. This YouTube video idea involves your creativity skills and language efficiency too. You may even introduce characters to make them more engaging. If you have excellent experience in the field of your expertise, you can start your youtube channel which is going to be career-oriented, and that will provide career lessons to the audience. Suppose, you have a work experience of 15+ years in the field of technology, then you can act as a career coach for those students who are interested in excelling in the area of IT. With this informative YouTube video idea, you can be a career counsellor via your YouTube channel. Such YouTube video ideas draw attention from the school-students and college goers. This YouTube video idea is exclusively for girls. If you are a beauty expert and love to teach others on how to do be stylish with perfect hairstyle and makeup, then you can upload videos based on style tips such as ‘7 ways to use mascara’, ‘top affordable eyeliners in the market’ and more. Try to build your own brand because there are many YouTube channels out there and you need to stand out from the rest. Again it’s a decent youtube video idea for the ladies! You can start a channel dedicated to cookery and things related to it. Innovation in cooking methods and trying out new things in front of your audience might put you ahead of the competition. Health and fitness videos encompass videos that are shoot in gyms and yoga classes. As we are increasingly becoming aware of our health, create videos on health tips and exercises. People are interested in maintaining their health with their progress with time. Share tips about losing weight and show wind-down exercises in your videos. Show a home workout and host an interactive health & wellness Q&A. Hence, creating entertaining health and fitness videos by incorporating music into the background, will prove to be advantageous for getting more views. If you are a romantic person and love to make plans for the wedding, then you can create videos on wedding guidance to your users. Like where to buy your wedding gown, how to decorate the interior of the hall and much more on the wedding topic. Creating videos on this topic require prior arrangement and a team of efficient people. You can upload videos providing hints on how to make your wedding successful and colourful. If you are a fashionista or a fashion-blogger, creating a channel and uploading videos related to fashion is the best possible way to earn fame and money. 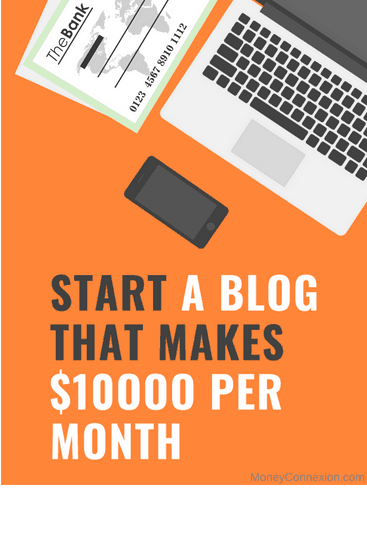 You simultaneously make some cash with these cool YouTube video ideas. You can try various outfits, attires of famous brands and show them to the audience. Through these types of videos, you can provide fashion advice to your audience. You can partner with brands and promote their apparels in your videos. Another fantastic YouTube video ideas are on what happened in a single day in your life. Through a single YouTube video, you can interact with millions of people around you. You can start filming your experience while travelling in public transport like buses, cabs, or while grabbing lunch in a cafeteria. This youtube video idea is a massive hit, especially for girls. Post at least some of these video ideas for YouTube channel per week to gain popularity in a steady way. Waow, this is a great idea to start a cool life. Thanks so much to moneyconnexion.com you the best. How can I start uploading and earning money YouTube, please the process? Change makes for good youtube video ideas. Ask a channel with a similar audience –or maybe someone completely unfamiliar — to make a video for your channel. i liked it very much. thanks for great info. I have interest in education site.so how to upload the vedio in YouTube. I waan upload my video. But how can I upload my video.. Yes I have videos but I don’t know how to add them to You tube. Please can anyone over give me more clue about to do that? Open youtube , then type how to open an youtube channel complete tutorial thrn you will get your answer in your respective language. Good ideas thnx for that. how can i optimize my video to gain more views? this tutorial work a lot because i became best for internet popularty of videos on me smi ling. Hi, Your list to making money from youtube is great. Video content are trending these days and great to start with these ideas..
upload my video in you tub. and how can I earn money. YouTube video ideas is a very informative kind of videos. We can learn many things on that video.